DENIS DALE has been an admired and respected figure on the Australian senior amateur golfing scene both and off the course for many years and his huge contribution to golf has now been recognised with a nominated for a top industry award. Dale is up against two other strong contenders for the 2018 Service to Golf in NSW award – Barry Bent, who is a golf coach with 50 years’ experience, and Lynne Ritchie, who has more than 30 years of dedicated work in the sport. Dale, a member of the Twin Creeks Golf Club in south western Sydney, is no stranger to competition and is a winner of no less than 12 State and National Senior championships and over 80 NSW Senior Order of Merit titles. Dale founded the Australian Senior Order of Merit website which covers senior events around the country and overseas and has also contributed a monthly column on senior golf to Inside Golf Magazine and the Australian Senior Golfer website. There are now over 120 elite senior amateur events on the Australian golfing calendar and Dale has been acknowledged as a vital part of the growth of the sport in the senior ranks. Dale has been suffering some ill health in recent times and has cut back some of his writing and golfing activities but remains a huge part of senior golf in Australia. Barry Bent is Head Coach of Woolooware Golf Club and was nominated by two of his youngest students, Charlotte and Sophia Perkins. Bent has been a member of the Australian PGA for over 50 years. To this day he remains a passionate coach and mentor for many golfers. 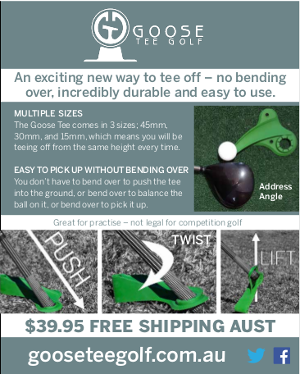 An icon of the sport in the Sutherland Shire area, Bent has helped produce some outstanding players including a Junior World Champion Golfer in Matthew Giles and a European Tour Winner in Lucas Parsons. Lynne Ritchie has been involved in the administration of golf at club, district and state level for over 30 years. A former board member of Women’s Golf NSW, Ritchie became a foundation board member of Golf NSW when the men’s and women’s bodies combined in 2010. Ritchie also chaired the course rating and handicapping committee when the handicapping and course slope system was first introduced. Stuart Fraser, CEO of Golf NSW, praised the three finalists for their contributions to golf. “All three are passionate supporters of the game,” Fraser said. The winner of this and a number of other related awards will be announced at the NSW Golf Industry Awards night on Monday, 22 October, at Curzon Hall, Marsfield. Next articleSo how many of Australia’s Top 100 golf courses have you played?